Sod1-/- mice, neuromuscular junction alterations and sarcopenia. Muller, F.L., Song, W., Liu, Y., Chaudhuri, A., Pieke-Dahl, S., Strong, R., Huang, T.T., Epstein, C.J., Roberts, L.J., 2nd, Csete, M., Faulkner, J.A. and Van Remmen, H. Absence of CuZn superoxide dismutase leads to elevated oxidative stress and acceleration of age-dependent skeletal muscle atrophy. Free Radic Biol Med. 40:1993-2004, 2006. Jang, Y.C., Lustgarten, M.S., Liu, Y., Muller, F.L., Bhattacharya, A., Liang, H., Salmon, A.B., Brooks, S.V., Larkin, L., Hayworth, C.R., Richardson, A. and Van Remmen, H. Increased superoxide in vivo accelerates age-associated muscle atrophy through mitochondrial dysfunction and neuromuscular junction degeneration. FASEB J. 24:1376-1390, 2010. Jang, Y.C., Liu, Y., Hayworth, C.R., Bhattacharya, A., Lustgarten, M.S., Muller, F.L., Chaudhuri, A., Qi, W., Li, Y., Huang, J.Y., Verdin, E., Richardson, A. and Van Remmen, H. Dietary restriction attenuates age- associated muscle atrophy by lowering oxidative stress in mice even in complete absence of CuZnSOD. Aging Cell 11:770-82 2012. Zhang, Y., Davis, C., Sakellariou, G.K., Shi, Y., Kayani, A.C., Pulliam, D., Bhattacharya, A., Richardson, A., Jackson, M.J., McArdle, A., Brooks, S.V. and Van Remmen, H. CuZnSOD gene deletion targeted to skeletal muscle leads to loss of contractile force but does not cause muscle atrophy in adult mice. FASEB J. 27:3536-3548, 2013. Sakellariou, G.K., Davis, C.S., Shi, Y., Ivannikov M.V., Zhang Y., Vasilaki, A., Macleod, G.T., Richardson, A., Van Remmen, H., Jackson, M.J., McArdle, A., and Brooks, S.V. Neuron-specific expression of CuZnSOD prevents the loss of muscle mass and function that occurs in homozygous CuZnSOD knockout mice. FASEB J. 2014 28(4):1666-81. Mitochondrial function and oxidative damage during aging and disease. Muller FL, Liu Y, Abdul-Ghani MA, Lustgarten MS, Bhattacharya A, Jang YC, Van Remmen H. High rates of superoxide production in skeletal muscle mitochondria respiring on both Complex I and Complex II linked substrates. Biochem J. 409:491-499, 2008. Bhattacharya, A., Muller, F.L., Liu, Y., Sabia, M., Liang, H., Song, W., Jang, Y.C., Ran, Q. and Van Remmen, H. Denervation induces cytosolic phospholipase A2-mediated fatty acid hydroperoxide. J Biol Chem. 284:46-55, 2009. Muller, F.L., Song, W., Jang, Y.C., Liu, Y., Sabia, M., Richardson, A. and Van Remmen, H. Denervation-induced skeletal muscle atrophy is associated with increased mitochondrial ROS production. Am J Physiol Regul Integr Comp Physiol. 293: R1159-1168, 2007. Lustgarten MS, Bhattacharya A, Muller FL, Jang YC, Shimizu T, Shirasawa T, Richardson A, Van Remmen H. Complex I generated, mitochondrial matrix-directed superoxide is released from the mitochondria through voltage dependent anion channels. Biochem Biophys Res Commun. 422:515-521, 2012. Bhattacharya A, Lustgarten M, Shi Y, Liu Y, Jang YC, Pulliam D, Jernigan AL, Van Remmen H. Increased mitochondrial matrix-directed superoxide production by fatty acid hydroperoxides in skeletal muscle mitochondria. Free Radic Biol Med. 50:592-601, 2011. Pérez, V.I., Van Remmen, H., Bokov, A., Epstein, C.J., Vijg, J. and Richardson, A. The overexpression of major antioxidant enzymes does not extend the lifespan of mice. Aging Cell. 8:73-75, 2009. Ladiges, W., Van Remmen, H., Strong, R., Ikeno, Y., Treuting, P., Rabinovitch, P. and Richardson, A. Lifespan extension in genetically modified mice. Aging Cell 8:346-352, 2009. Surf1-/- mice and mitochondria protein homeostasis. Deepa, S.S., Pulliam, D., Hill, S., Shi, Y., Walsh, M.E., Salmon, A., Sloane, L., Zhang, N., Zeviani, M., Viscomi, C., Musi, N. and Van Remmen, H. Improved insulin sensitivity associated with reduced mitochondrial complex IV assembly and activity. FASEB J. 27:1371-1380, 2013. Pulliam DA, Deepa SS, Liu Y, Hill S, Lin AL, Bhattacharya A, Shi Y, Sloane L, Viscomi C, Zeviani M, Van Remmen H. Complex IV-deficient Surf1-/- mice initiate mitochondrial stress responses. Biochem J. 2014 Sep 1; 462(2):359-71. Hill, S.H. and H. Van Remmen. 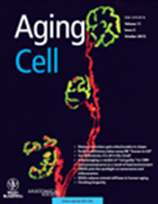 Mitochondrial Stress Signaling in Longevity: A New Role for Mitochondrial Function in Aging. Redox Biology 2014 Volume 2: 936–94. Pulliam, D., Bhatttacharaya, A. and Van Remmen, H. Mitochondrial dysfunction in aging and longevity: A causal or protective role? Antioxidant Redox Signal. 19:1373-1387, 2013. Qaisar, S. Bhaskaran, R. Ranjit, K. Sataranatarajan, P.a Premkumar, K. Huseman, and H. Van Remmen. Restoration of SERCA ATPase prevents oxidative stress-related muscle atrophy and weakness. Redox Biology 2018. Qaisar R, Bhaskaran S, Premkumar P, Ranjit R, Satara Natarajan K, Ahn B, Riddle K, Claflin DR, Richardson A, Brooks SV, Van Remmen H. Oxidative stress induced dysregulation of excitation-contraction coupling contributes to muscle weakness. Journal of Cachexia, Sarcopenia and Muscle 2018. Lustgarten MS, Jang YC, Liu Y, Qi W, Qin Y, Dahia PL, Shi Y, Bhattacharya A, Muller FL, Shimizu T, Shirasawa T, Richardson A, Van Remmen H. MnSOD deficiency results in elevated oxidative stress and decreased mitochondrial function but does not lead to muscle atrophy during aging. Aging Cell. 10:493-505, 2011. Mansouri A, Muller FL, Liu Y, Ng R, Faulkner J, Hamilton M, Richardson A, Huang TT, Epstein CJ, Van Remmen H. Alterations in mitochondrial function, hydrogen peroxide release and oxidative damage in mouse hind-limb skeletal muscle during aging. Mech Ageing Dev. 127:298-306, 2006.